Spike Briggs—following his father’s death—ran the team briefly while attempting to pull together a syndicate of rich Detroit men who would purchase the team to settle the estate. The legal challenges were numerous and exacerbated by the death of Walter Briggs’s widow. The probate court eventually ordered that the Tigers be sold. Fred Knorr owned the Detroit television station that broadcast the Tigers’ games but lacked the requisite funds. He subsequently put together a group headed by John Fetzer, a Grand Rapids television entrepreneur, and together they purchased the team in 1956. 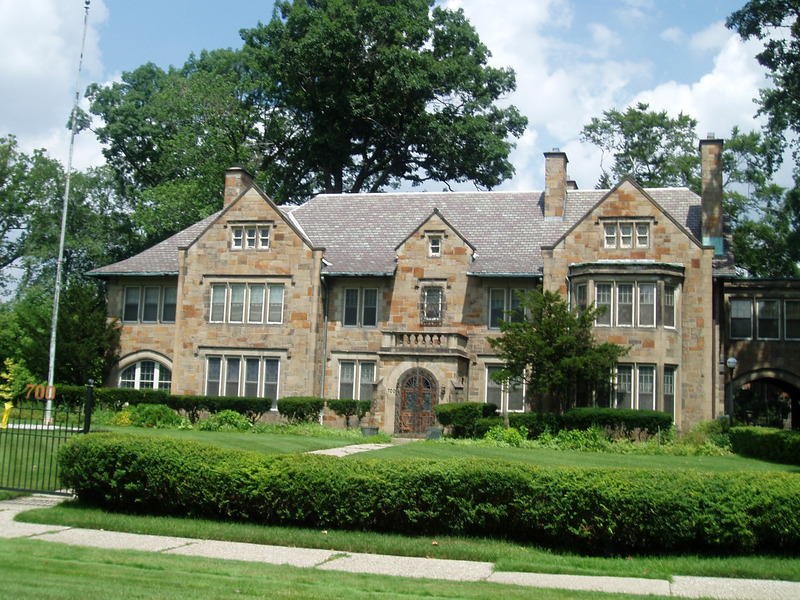 Many of the highly successful automobile moguls built huge and magnificent homes for themselves in what were then the most prestigious neighborhoods of Detroit. Briggs selected the English manor style for his abode. As you examine this home from West Boston, you see a very appealing and quite dignified, if enormous, home done in light colored stone. You would not be surprised to find it in the remote countryside in Britain. The Neo-Tudor home to the immediate northeast—670 West Boston Boulevard—was built for one of the seven Fisher brother, Carl, in 1915 also. Interestingly, one of Walter Briggs’ daughters married one of Carl Fisher’s sons, a woman who lived well into her 90s before she died in 2004.